With the thought that viewers might be feeling some post-Super Bowl ad fatigue, Progressive Insurance is taking a creative approach to reengage potential customers. The Cleveland-based insurance company is launching a unique banner ad campaign themed “Clickbacks,” running Feb. 18-22 and created by its in-house ad agency, 96 Octane. The campaign will leverage all existing Progressive banner ad creative. 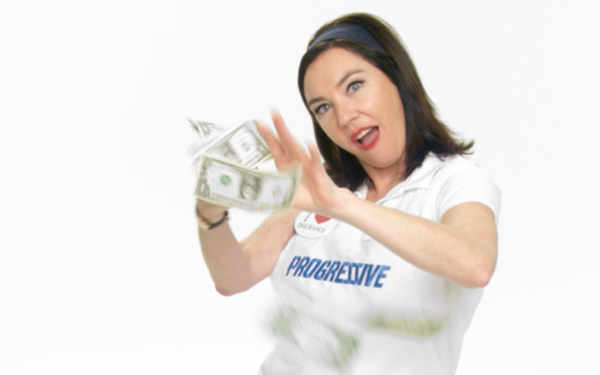 Consumers simply click on Progressive ads to find those that offer them a chance to win the money. The company will select 50 random people. The goal of the effort is to give back to consumers by rewarding them for the time they spend with the brand, says Cat Kolodij, Progressive business leader, marketing strategy.